Facial recognition? Amazing. Edge screen? How is that even possible? Eagle-eyed code-jockeys have dug out some intriguing details about the new Apple iPhone – most notably that the company is still desperately chasing Samsung. Developers digging into a firmware upgrade of Apple's new HomePod discovered chunks of code that appeared to have nothing to do with the digital assistant. In particular, there are references to infra-red facial recognition and a graphical rendering of a smartphone without a Home button and very narrow borders on the screen (a bezel-less phone). The code references "BKFaceDetect" – which is almost certainly an acronym for "biometric kit" – and an infrared camera. 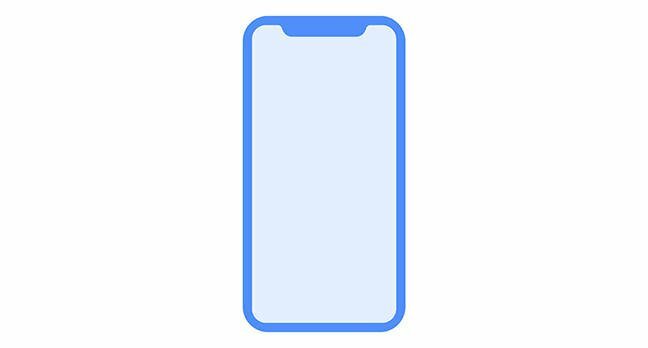 Those references appear to confirm several rumors swirling around the new iPhone – that Apple will use 3D face-scanning as a way to unlock the phone and that it will redesign its screen to cover the entire front of the device. The code also appears to reveal Apple's internal codenames for the facial recognition tech – Pearl ID – and the bezel-less phone – D22. The discovery has, inevitably, sent Apple fanbois into a frenzy of Steve-Bannon-like onanism. But in the real world it is another sign that Apple continues to follow in its rivals' footsteps. Samsung has offered facial recognition and edge-less screens on its phones for some time; even Microsoft has device unlock using your face in Windows 10. Apple continues to play catch-up, although it always paints its ability to do something for the first time as if it is a first everywhere – and the legions of devoted followers for some reason play along. Apple is in full secret-leak mode at the moment in the buildup to the new iPhone's announcement. A raft of news articles in the past few days have revealed that the phone may cost 50 per cent more than the current iPhone 7 – with a $1,400 price tag at its highest spec – whereas the 256GB iPhone 7 Plus costs $969. The slow drip of stories about how amazing Apple's augmented reality ARKit is have also become more of a stream as the company tries to find the one thing it can do that others haven't already beaten it on. Wait, what do you mean Google's Tango offers AR on smartphones? Yeah, but only if you buy the newest, most crazily expensive smartphones like the Lenovo Phab 2 Pro, which costs an unreasonable $500. Or the Asus ZenFone AR with the even-more ludicrous price tag of $700. Who's going to pay such crazy prices just for AR on a phone?